Get yours and your photo taken with “Uncle Joe” today! Head of Badr Organization’s Office in al-Anbar Qusai al-Anbari told the Arabic-language al-Ma’aloumeh news website on Thursday that the US forces are secretly supporting the ISIL terrorists and closely monitoring al-Anbar desert. He added that Hit and Hasibah al-Baghdadi regions are now fully controlled by the Americans, and warned of a possible occupation of al-Anbar desert by the ISIL. Al-Anbari had also earlier said that the US stationed 700 ISIL terrorists in Western al-Anbar to target the Iraqi security forces. Earlier this month, he said that the US military men stationed in occupied bases in al-Anbar province used the ISIL terrorists in disguise of ordinary people to target the Iraqi forces in desert areas of the region. Al-Anbari was quoted by al-Ma’aloumeh as saying that the US forces deployed in Ein al-Assad and al-Habaniyeh bases in al-Anbar deserts in Western Iraq were using a new method to attack the Iraqi security forces. He added that they disguise the ISIL terrorists as shepherds and tribesmen to launch on against the Iraqi security forces, Hashd al-Shaabi and civilians in al-Anbar desert. USA fiat Not Federal, No reserves, and Not a bank, backed by absolutely nothing, loses that last penny, of the 1913, pre Not Federal, No reserves and Not a bank, counterfeiting scam, things going to get real nasty, very suddenly! And the Home of the American Usury Debt Slave! Air horn nowadays, but has that same lonesome mournful quality to it. When conditions are just right, as now, one can hear the train blowing its horn for each and every crossing it comes to. The sound in me brings thoughts, of lonesome places, desolate landscapes, long dead people, who spent their lives on the rails, getting people and freight, across the land. Stories my father told me, of when he was in his late teens, before he met and married my mother, he would ride the rails, as catching a freight train was known as riding the rails. How he got kicked off at the Pecos High Bridge, (https://tshaonline.org/handbook/online/articles/erp02) in West Texas, had to wait three days for another train. The hobo camps, the men who you figured were private detectives, or the law, looking for someone, trying to blend in. The professional hobos, and the desperate men, looking for work in bad economic times. How he caught a train one night, with his suitcase wired around his neck, going so fast it was whipping him against the box car as he grabbed the ladder. How he got real sick while riding a train, and was just laying there, and a young Mexican boy, riding the train, got off at a stop, and went and stole a couple of apples off someones tree, to give them to my dad so he would have something to eat. Time a man robbed the guys on a box car, taking their money, then kicking them out while the train was moving on down the tracks. Dad said he saw it coming, hid his Twenty six dollars, (big money during the 1930s depression), under a tie plate in a corner where some rail repair pieces were. Man tried to throw him off the box car, but my dad said he was not leaving his twenty six dollars there. Said you can only scare a man so much, then he don’t scare no more. Said he wrapped his arms backwards around the robber who was trying to make my dad jump, told him, you shoot me, you are going out with me. Robber let three men stay on the box car, one my dad. When the train hit the yards, the robber jumped off, closed the door, locked from the outside, and took off. Some of the men he had kicked off down the line, got word to the next stop, what was going on, so the rail yards were swarming with law. Robber ran back, was trying to get back in the box car. Dad said a guy, he thought had been with the robber, had seen him get his money from under the tie plate, said, “let him back in, he won’t do nothing. My dad said he pulled back that tie plate, told him, “if you don’t hold that door, i will bash in your brains”. Dad said the man held that door shut as if his life depended on keeping it shut. Knowing my dad, it did. Law caught the man they thought did it, and showed him to my dad in a line up. Dad said he thought it was the guy, but it had been dark in the box car, and he was not 100%. Said the man was black, and back then, white man pointed at a black man, said he did it, black man was going to prison. So my dad did not ID him, because he would not live with the nagging though he might have sent an innocent man to a hell hole prison. The sound brings back to mind, when i was a kid, and we would be driving to San Antonio, or back home, along Highway 90, and the trains would come by, how huge they looked, how loud the sounds, the lights , the caboose, which no longer exist. If the lonesome sound of that whistle, don’t make you want to grab a few cloths, catch a freight train, and just look at the country side as it flies by, seated at the door of an empty box car, well, there just something missing from your makeup. Inside every man, still alive spiritually, there is a little boy trying to get back out. Syria wants the war criminals out of Syria. They forgot Israhell getting the hell out of Syria also. Don’t want to leave any occupying war criminals out. The USA is a war criminal Corporation. The brass don’t want to hear about war crimes. The USA sheep don’t want to hear about war crimes. The occupied Home of the Usury debt slave! Which Definition of “Jew” Are You Being Accused of “Hating”, By Israhell Hazbaras, When You Tell The Truth of The Evil of Zionism? There are two different definitions. Be nice if the Israhell Hazbara whores would identify which one they are verbally assaulting you with! In the interest of clarity, i will sprain the differences in the two “Jews”. There are many different sects of “Jews”, as there are many different sects of Protestant cults. In Catholicism, you have three different sects of the cult. The End of Times Death Cult religion, who’s members are called the derogatory term “Jew”, are of many different nationalities, ethnicity, and homelands. The largest sect, is the pedophilic, Usury practicing, non Semitic, war mongering, Russian Expat Kazarian half breed Turkmen/slav reject outcaste from the Steppes of Russia, which the majority, are currently either involved physically, or cheerleading for, the Holocausting of the Indigenous Semitic Palestinian people, in the Semitic Palestinian’s own Ancestral Home Land. Secondly, there is the Mythical “Jew”. This is a mythical “race” of people, who became a “race”, because they belonged to a cult religion, the End of Times Death Cult. As any intelligent persons can reason, if belonging to a cult religion, could make one of a certain “race” of people, one would have these and many more “races” running around demanding special privileges because they belong to certain religious cults. The Church of England Race. The Church of Christ Race. The Islamic Race, (further broken down into many sects). No one has ever been able to capture one of the Mythical “Jews”. And a whole bunch of the Pedophilic Religious Cult “Jews”, need to be captured. Its been a hell of a party on credit cards. But now it is Monday, sober, late for work at your low paying job, hung over and looking at the massive debt you racked up! Thats how an empire dies, rot from within. Israel, of course, is unable to destroy its enemies, so that task is left to America and its neocons. The American people were lied into a war on Iraq. Both Israel and the US knew Saddam Hussein didn’t have the capability to threaten Israel militarily. Beyond its oil, Iraq held little strategic value for the US and its corporatocracy. However, it did have the ability to cause trouble, especially in regard to the Palestinians. Syria’s relationship with its Lebanese neighbor and its stubborn refusal to simply handover the occupied Golan to the Israelis is also a problem. It was one of several objectives behind a manufactured color revolution in Syria under the aegis of the “Arab Spring,” an objective that has thus far resulted in the murder of around 600,000 Syrians. The Bush era neocons (including John Bolton, now national security adviser, and Elliot Abrams, a key Bush coconspirator) had an ambitious laundry list of nations to be destroyed—Iraq, Syria, Lebanon, and importantly Iran, the only serious challenger to Israel. The Obama administration added Libya and began covert operations in Africa. After 9/11 and years of aggressive war propaganda, it is now common for the American people to believe these lies. Meanwhile, endless diversion in the form of super-hyper and potentially violent partisanship between factions of the establishment political class keep most Americans distracted from larger issues—war and the bankster-rigged economy. It should be noted that criticism of central banks and monetary policy are also considered hateful antisemitism. In short, US foreign policy, directed by high-level neocons, is not conducted in the interest of the American people. It benefits Israel, which also takes billions every year from the American taxpayer. Bush the intellectual midget was unable to provide and explanation why nuclear and biological weapons were not found in Iraq—instead, he made a comedy routine out of this “intelligence failure” and the systematic murder of eventually well over a million Iraqis. In truth, WMDs were not the reason for the invasion and occupation. The real objective was to produce violent sectarianism and division, thus making sure Iraq was preoccupied with its own serious problems and not calling for Palestinian justice. The same basic plan was reproduced in Libya, another oil-rich nation with a strong sense of pan-Arab nationalism, thus aligned with the Palestinians and regarding Israel as a renegade Zionist apartheid state. Donald Trump’s sycophantic fawning over Israel—undoubtedly under the influence of his Orthodox Jewish son-in-law—has opened the floodgates: the US embassy moved to Jerusalem, Trump signed off on Israel’s theft of Syria’s Golan Heights, and of most value for Israel, the US under Trump is ramping up rhetoric, imposing additional sanctions, and promising military action against Iran. The latest move: Trump has designated Iran’s Revolutionary Guard as a terrorist organization (and the Iranians in turn designated the US Central Command as a terrorist organization). Such criticism of Israel will soon be illegal. Democrats and Republicans are working together to make criticism of Israel a criminal offense. South Carolina passed a law making it illegal to boycott Israel, while Florida passed legislation outlawing antisemitic thoughtcrime. Tennessee worked to pass what it calls the Anti-Semitism Awareness Bill. After this failed to gain traction, Tennessee passed a resolution declaring unequivocal support for Israel. 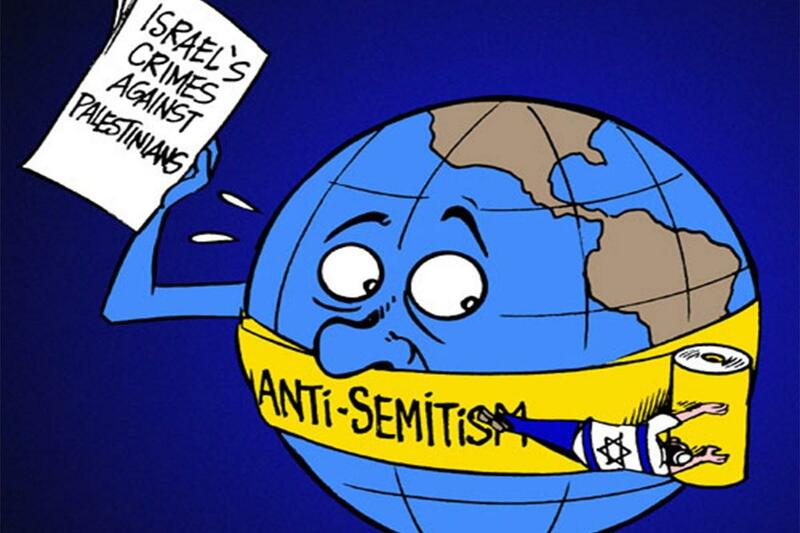 At the same time, the US House enacted a resolution “condemning anti-Semitism” following remarks made by House freshman Rep. Ilhan Omar’s criticism of AIPAC and the influence of Israeli-American lobbying. Now that criticism of Zionism and the Israeli state is criminal —according to the propaganda media and a manipulative ruling elite—we can expect any principled discussion of Israel, its treatment of the Palestinians, and its effort in unison with the neocons to get a shooting war going with Iran, to be punished by muzzle, fines, and possible prison time. Remarkable or not, this situation—most prominently the disassembly of the First Amendment and another devastating war—is hardly even a minor concern for many Americans. The criminalization of speech is something that happened in Nazi Germany, Stalinist Russia, and East Germany under the watch of the Stasi, and we were told it was impossible in America with our bounty of rights. Those rights—rights we are born with—are now increasingly denied by law. In the near future, such laws may be used to shutdown any number of websites and social media accounts that dare criticize Israel, as that criticism—that speech—is now equivalent to violence. The reason there is a fuel crises in Syria, is because the USA, in a yet another war crime, is illegally in Syria, occupying Syrias best oil fields, denying Syria their own oil. This was a planned act of war by the evil of Israhell controlled WASHINGTON DC. And now the three shekel political whores in DC, are threatening sanctions for another Middle East State, helping a neighbor. In 1945, Russian and USA Kazarian officers at Nuremberg, crushed German General’s and civilian politicians balls, to force them to to sign “confessions”, written in a language foreign to them. One has to wonder who will be crushing the balls of the Russian Expat Israhell and USA Kazarian generals and civilian politicians in Washington DC?